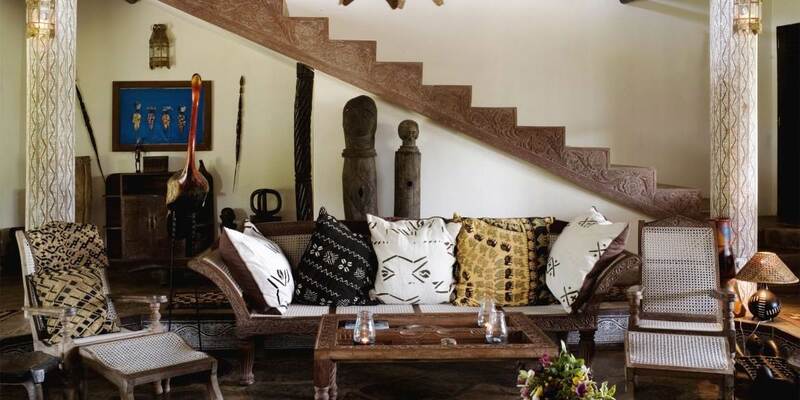 Kinondo Kwetu is the private home of Filip & Ida Andersson and their young family; it would be wrong to describe it as a resort; their home accommodates up to 34 or so guests across a range of cottages and villas dotted about their remote piece of paradise just south of Diani. 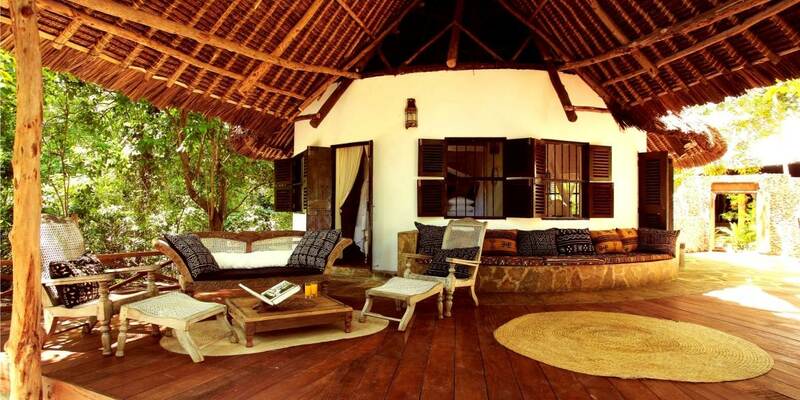 Kinindo Kwetu actually means home-away-from-home in Swahili and this is just what it is. 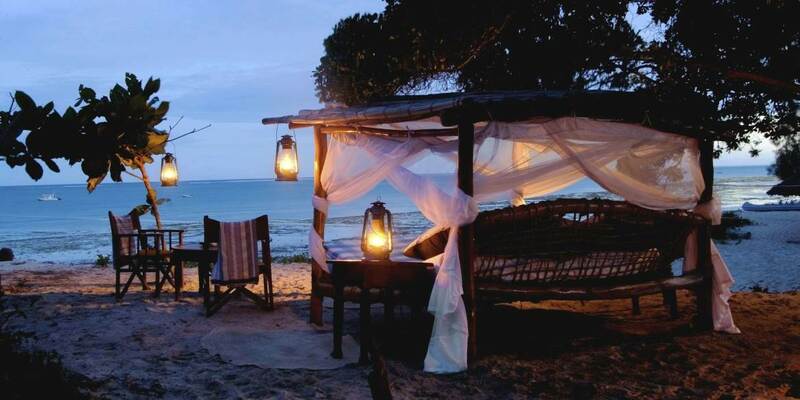 Kinondo Kwetu is located on a very private long stretch of Galu Beach only a 15 minute drive from Ukunda Airstrip. 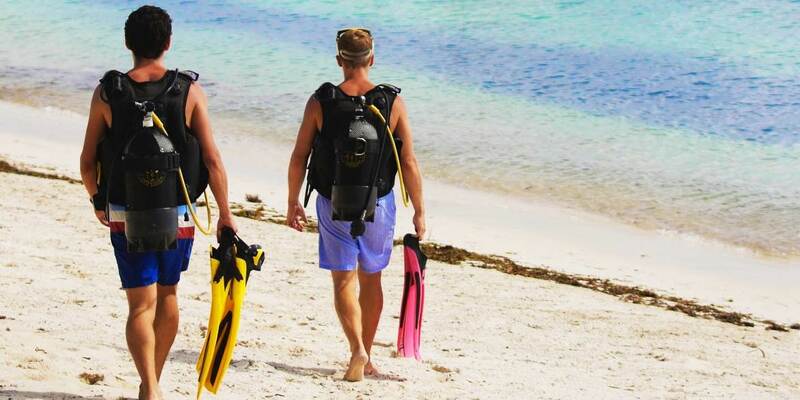 Snorkelling, scuba diving, kayaking, waterskiing, wakeboarding, kite surfing, windsurfing, paddle boarding, boating, sailing, deep sea fishing, horse riding, tennis, golf, massage, yoga, cultural visits, nature walks and even safari 45 minutes away are all on offer. You do as much or as little as you want; perhaps just find a quiet corner and curl up with a book; this is a very quiet and peaceful place to relax and we love it. It is set apart from its neighbours so feels very much more remote than it actually is. The food is very good and everything is freshly prepared. The accommodation at Kinondo Kwetu is extremely versatile and with so many differing room configurations there is something to suit everyone. Mama Tina Villa has a double ensuite bedroom and 2 singles sharing a bathroom; this villa is for children and singles only. 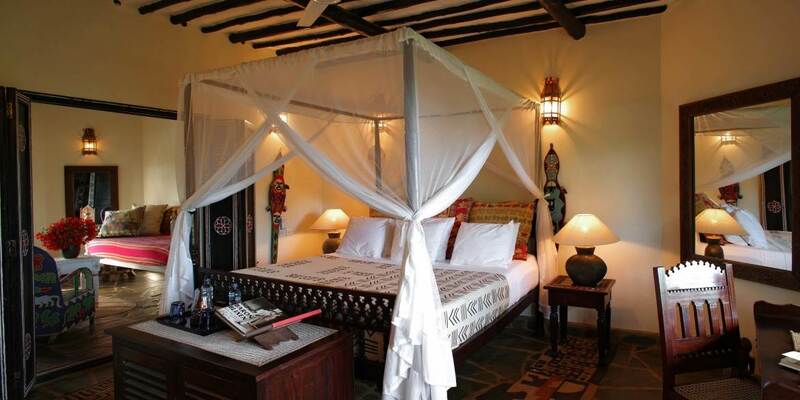 Mbuyu Cottage has a double with a connecting single room, Shimba, Twiga and Songoro Cottages are all ensuite double cottages, Mbuyu Cottage is a double with a connected single and Mama Taa Villa has 8 suites. If this all sounds a little too complicated just give us a call and we can explain! 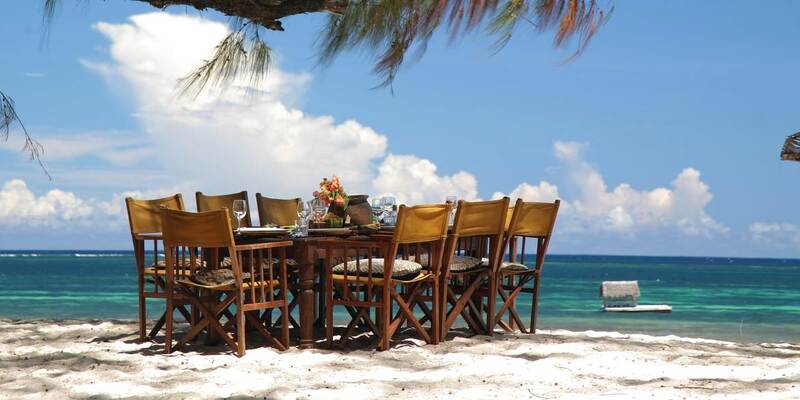 There is no fixed dining area so meals are taken in a variety of different places from lunch on the beach under the shade of the trees, to various spots in the garden, to the small friendly boat house just set back from the beach to under the stars somewhere in the garden or at the top of one of the water towers.